We also pride ourselves on our ability to make it possible for you and your customers. So by combining our wealth of expertise, industry experts and market knowledge, we're focussing on bringing you the very best materials to help you succeed. 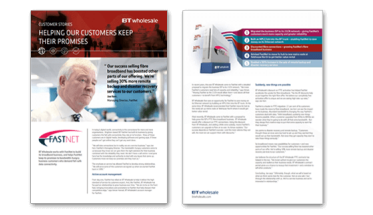 Whether it's top tips, guest blogs or marketing material, we're positive that when someone asks you 'why BT Wholesale?' you'll be able to show them how we made it possible for you. We’ve got the products, the people and the expertise that makes us Europe’s largest telecoms wholesaler. Over 1,700 BT Wholesale people are dedicated to helping you succeed. We have a solution to suit almost every type of customer, whatever the issue. We'll provide the support, innovation and resources to help you sell more. to us to deliver services to their customers. Some products can only be obtained through us, such as our Mobile Ethernet Access Service – the only one to provide a national converged backhaul network to connect mobile sites to core networks. Means you can offer a high quality and reliable service, supported by our expertise and rich heritage. With our engineering teams, guaranteed support levels and speed of response. We're giving you a range of great products & services that you can sell and meet your customers' needs. Find resources designed to help you understand more about our key products, the latest updates in industry trends and how our solutions can help you and your customers. With our specially-made content. Browse our selection of materials, including presentations, emails and much more – we've done the leg-work so you can add your design and branding and use it to sell products and solutions to your customers with minimal effort. The best way to keep relationships with your customers is to share information that promotes the benefits of working with us, reinforcing that they're receiving the best service and solutions they can get. You can do this by using our assets such as case studies and infographics. Our success selling fibre broadband has boosted other parts of our offering. We’re selling 30% more remote backup and disaster recovery services to our customers. 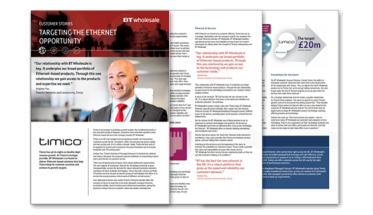 Our relationship with BT Wholesale is key. It underpins our broad portfolio of Ethernet-based products. 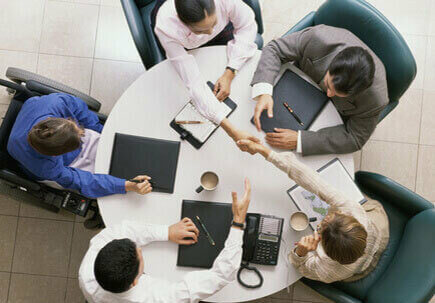 Through this one relationship we gain access to the products and expertise we need. We are passionate about customer service. That's what our business is about - and we see the same in BT Wholesale. 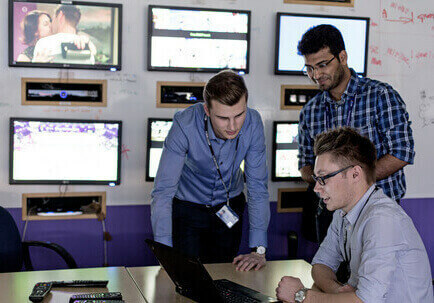 View our five top tips on how to sell BT Wholesale solutions. View our five top tips on how to sell Hosted Communications Services. View our five top tips on how to sell Data Services. Download to learn more about our Wholesale Hosted Centrex solution. Download to learn more about our Hosted Contact Centres solution. Download to learn more about Avaya Cloud Solutions. Download to learn more about our Ethernet solution. Download to learn more about our Broadband solution. Read the thoughts of telecoms journalist Tim Phillips on how the rise of the Internet of Things will change attitudes to network resilience. 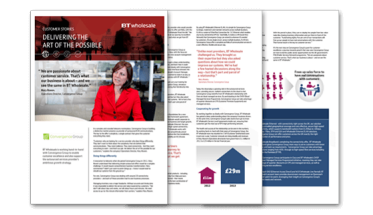 Share our graphic with your community, highlighting how BT Wholesale can make it possible. How can we help resellers? What can we offer that others can’t? Download this handy PDF and you’ll find out how we make it possible.